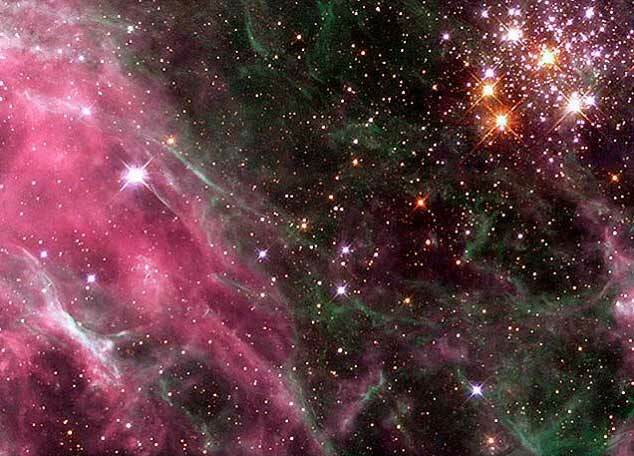 - near the socalled astral level of matter -vibrations. listen to the deep txt on Scorpions - Send Me A Angel - mp3 - and remark the text says "...in the land of the morning star" - that' s VENUS! "My Venusian friend expl that the kind of up and down evolutionary movement that has occurred on earth, does not conform to normal civilisations pattern for progress. On our planet, creative energy has been grossly misdirected, as opposed to the positive directions it normally has taken elsewhere in the universe…." *Book says he got education on these things and "…the feelings transmitted to me have no corresponding translation into verbal language". -They is aware of the existence of higher and greater orders of consciousness that they believe exist apart from any particular reality or dimension. They referred to God as the infinite CREATIVE ENERGY FORCES ever present throughout the infinite of the physical and non-physical universes. "The great energy forces express and demonstrate themselves through nature and through humanity. Nature is this energy force manifesting as the substances and elements of the earth. Humanity is the personification of this great energy force externalised as human, plant and animalforms. Ideally all forms shall inherently cooperate with one another to maintain balance and harmony for all. "All forms, regardless of their nature, are created and considered equal by these great energyforces. Only through ignorance does mankind introduce division and classification among forms, for such does not exist. There is no form capable of being superior to another, since all forms are interdependent upon one another for existence. Forms cannot and do not judge each other in this respect. Only mankind on this planet, seeks to divide and classify everything he comes in contact with, placing them in some kind of order or category or family. He profoundly concludes that upon carefully scrutinizing biological manifestations, that in time, on particular species eventually evolved to another, resulting in a set pattern of physical evolution. Thus, the hypothesis of survival of the fittest is formed, and widely accepted. This is highly erroneous. Each man bases his theories totally on objective, physical observation, which will give him half answers at best. Physical manifestations such as plants, animals, and the like, do not evolve form on another. Consciousness alone evolves from one another. There is not such thing as survival of the fittest, since all Consciousness exists permanently and fully co-operates. Only Consciousness evolution exists." Consciousness evolves, not species. Thus upon physical creation, all existence evolves through patterns of expression. It is coming together, or merging, through many birth and death cycles, that consciousness combine acquired experience to then physically manifest through a new and different life form. This is not any "upward" or "downward" movement of a predetermined scale as in Darwin evolution, but rather an outward path, which flows in all directions. These newer life forms, after a life cycle of experience and expression, then combine their acquired knowledge and exp.with yet another consciousness to then manifest as an even newer and more complex lifeform. Physical forms are created for consciousness to express through while physically actualised within a time-continuum, in other words - a 3dim reality. "…our bodies are perfectly designed for our consciousness to function and express through. "As we experience and progress spiritually through evolution, a new and higher quality of technology and consequently a higher quality of life will be available to us. 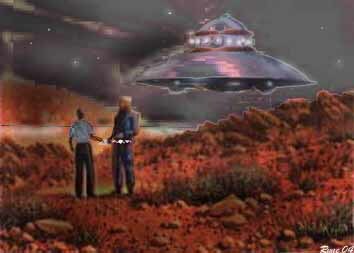 My Venusian friend said that ideally, on other planets populated by human beings, the knowledge and application of powerful energy sources, such as nuclear, is not discovered until the culture has attained a spiritual level of awareness that will allow them to utilise such a force for peaceful and progressive means. Unfortunately, on earth, here is a wide gap between technical achievement and social and political accomplishments. My friend went on to say that people of earth would definitely not be allowed to take their weapons of war and destruction to other planets. Our desecration of humanity and nature will be restricted to our own planet. However, I was told that an all out nuclear holocaust would not be tolerated because the resulting effects would be disastrous to the welfare of neighbouring planets, as well as the entire solar system. "…many people on Earth have a distorted view what truth really is. 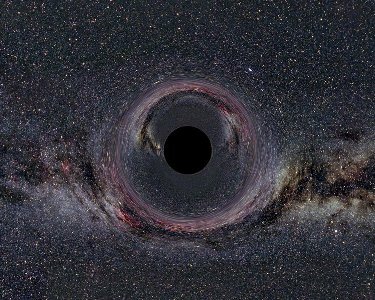 Truth is actually not dependent upon our 3dim physical world. It is indep.from all that is physical, so we cannot see truth. It is simply EVERYTHING THAT IS!! Truth can be a feeling deep within us. However, feelings can easily be distorted by our limited beliefs. Our feelings can surface to our conscious mind as unclear, perhaps garbled messages. …"..we and only we ourselves, create the very world situations in which we cope (live). The life experience is the greatest teacher. Life instructs. It teaches us to learn and profit by our shortcomings and triumphs. In this, there is no need to harbour guilty feelings or to worry about divine retribution. There is noting to be ashamed of when we learn and accept the lessons of the life-experience. This is all a part of the growing process of evolution. Our future welfare, or destruction, is entirely up to us, and us alone. We create our own world. We form our own reality. Thoughts form matter - matter does not form thoughts. There are infinite levels of being to be experienced where physicalness is total unnecessary and would in fact be a great drawback. Over the many billions of years comprising a plants life cycle, there are certain intervals when the planet becomes suitable for the sustaining of life forms, such as plant, animal and human. Plant and animal life generally manifest prior to human intervention. This has something to do with various conditions, such as geological and atmospheric and others, being conductive to their entry into physical being. As Rampa similar said – book describes a time, billions of years ago, when the Earth was a veritable paradise of flora and fauna. Vast emerald-blue oceans abounded. Dense, lush green forests and grassy plains covered much of the sprawling continents. The soil was rich and fertile. This paradise was colonised by volunteers from spacepeople. But ..."...and unsuspected and unsettled geological condition happened. The planets continents were not quite fully formed, when they arrived, and they knew some of the problems here." So after some time they had to leave. But many mill.years later, the Earth became more stable, but internal fight arose between some of the settlers, on land rights and material possessions. An ideological split happened, and the majority left by the spaceships. Those behind on Earth, then began exploring the rest of the Earth, and -became nomadic. But it seems they had no high-tech, but had to live as farmers or agrilculturals. And gradually they began hunting, and ended at last back as cavepeople. On age of Earth the man from the higher levels of V.said it was more than ten billion years old!! In the Pacific Ocean, was a continent – which was connected to other portions of land where today is California, Nevada, Arizona and New Mexico. Plus new and western Mexico + portions of central am.+north of s.am (peru-columbia). This was a large complex of islands which extended well into the ocean. 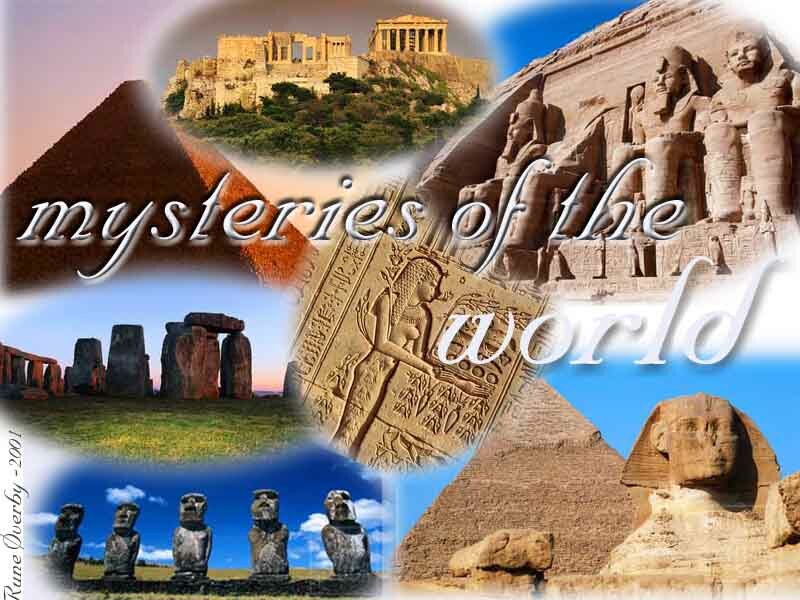 Mythology labels it LEMURIA – and more to the west was a sisterisland called MU. The planet did not resemble the Earth we know today. Fx was the poles diff.located+another tilting. Hundreds of 1000s y back. The lemurians could generate their electrical energy from the atmosphere. Their scientists solved their problems by allowing their intuition and intellect work together. They had flying crafts that were atomic powered- in conjunction with electro-magnetic drive. At a time, when moral had degenerated - a smaller atom war happened between the smaller island MU and the main Lemuria, where 20millions dead. Some fled from these wars to higher places as California, Mexico and central-am.+west southAm. Those became the forebears of later civs.as Aztecs, Mayans, Incas. Others to china – high in central Asia. These wars came just before these islands sank down under ocean. And these earth-changing powers lifted up the continent of Atlantis. "The realm of Atlantis occupied a period of time encompassing some one hundred thousand years. There were different ruling classes. Atlantis was on the peak of cultural some fiftythousand y ago, where 50millions lived there. The majority of the E’s population lived in A.at the time of its cultural peak acc.to this Venus-contact. The Atlanteans eventually developed advanced weaponry and built arsenals of laser guns – which could shoot deathrays. The Atlanteans progressed much faster than we did, as they did not make use of the wheel for transportation. "Actually – our use of wheels has severely hampered our progress in the field of transportation. They lived for average of 150-200 years – some up to 300. Most common people had sailing ships, while the floating crafts were controlled by the gov. The scientists directed construction of huge stone pyramids over energypoints. Pyramids assembled by the aid of levitation devices. Such levitation devices were in use at that time for the purpose of moving heavy objects. They were mechanical in function and operated on the principles of ultrahigh frequency sound vibration, which were emitted from the metaltubes of varying lengths. Looked like organpipes. Sticking at them, an object would become buoyant. The object could be directed from one place to another by regulating the pitch of another barrel...These sounds were not audible the human ear"
"..the shape and mathematical config.of the pyramid was perfect to collect and intensify the ever-present Electro-magnetic energy – as they were built over energy-intersections, where unlimited amounts of energy could be channelled inside and stored for use. They were used to convert electromagnetic energy into useable energy. The pyramids accumulated, stored and intensified energy. When needed, this energy was released in acc.with the laws of soundvibrations and lightwaves. Situated in the apex of the pyramid, was set in place a huge, clear, crystalline capstone. This natural crystal acted as a catalyst and was utilised as a SPIGOT by which energy could be drawn up from the pyramids interior, be released and directed wherever needed. This was accomplished by beaming, or reflecting intensely concentrated light rays. A major use of this energy, was to later charge the floating, self-levitating craft that were developed"
"...as time progressed in the history, certain political and religious factions took it upon themselves to gradually at first – and later by force – to commandeer this energy for their own selfish and destructive use. These sinister groups also took possession and total control of the floating crafts. These self-fashioned dictators soon held their power over heads of their fellow citizens. They took every opportunity they could to dominate the masses, and subjugate them under the penalty of imprisonment or even death. They had the knowledge of building the floating crafts and the (negative) use of pyramid energy. They kept this information strictly to themselves. Eventually – during A’s later years, the DARK forces had slowly gained almost total control over the entire continent and its accompanying out-islands. This take-over and enslavement, was thousands of years in the making. But volcanic eruptions started and over years the tremors became strong. At a point, the island-chain with its main continent, was literally reduced to a group of smaller islands by a very violent earthquake. This and other circumstances resulted in the final destruction of A. Last happened ca 10k-years BC. 95% of the people there was gone. But the elite who were in control of the high-tech, boarded airships and went to diff.places on E."
"-what we consider to be evil is the perversion or distortion of "good". Nothing is created bad. We can choose to be bad or evil, by our free will or choice." "What we consider evil is a force which is manifested by those who have temporarily "lost the way". Through voluntary education, one uses his free will to return to a positive state of being." The Venus-contact talked about an entering into a slow tilting of the axis, and so geological and also weatherchanges - where ALL exist.lifeforms will be affected. Insted of the warming of the earth- they said we were entering a new type of iceage. Much land now underwater would rise, out of volcanic activity. Land now dry, will sink. This will cause the polar-ice to shift - first the old to melt as happens now. This will change the weatherpatterns over hundreds of years. The rising land with much water in, will make much evaporation, and a cloudy firmament will be. The CO2 will increase. This will make a form of filter against direct sunlight, which is harmful to life -and will make the ageing to slow down. The venus-contact also said that as we now have only one moon, this was an "unbalanced condition" for earth - but no more expl.given. His space-contact also told him of some spacepeople that took an enterely earthly warship for the purpose of using it in a "space/cosmic museum" on a far planet!! This happend in nov-1951. 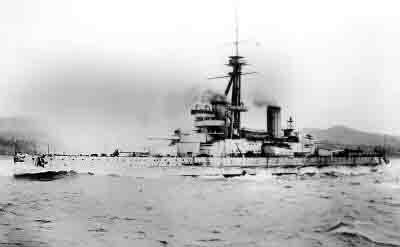 The battleship SAN PAULO of Brazilian nationality, was sold to a british marine salvage company and was to be towed to england from brazil by 2 tugboats. It was a ww1 vintage-ship. A storm happend, by the Azores, and the whole 20k-ton ship disappeared w-o a single trace!! All thought it sank. But book claim the spacepeople that created this storm as a diversion for the tugboats. 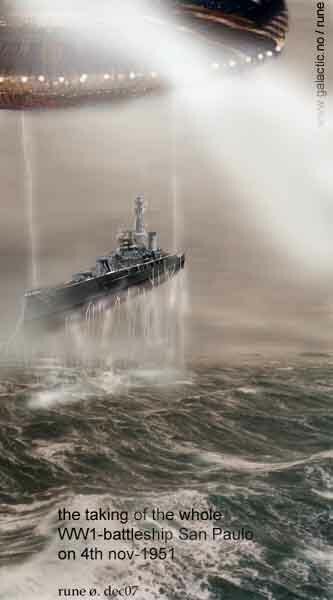 In fact a small mothership descended and took up the whole battleship, by electro-magnetic "tractor-beams"!! After the storm, the tugboats men was confused when the ship was gone! There was ONE man aboard when it was taken, but book claims he had agreed to "go with it" -in an agreement done before on a psychic level, and was done long in advance of this happening. The V-man said he could read about this in a magacine he said his parents had in their home. And just so - he found the mag.where he said it was. 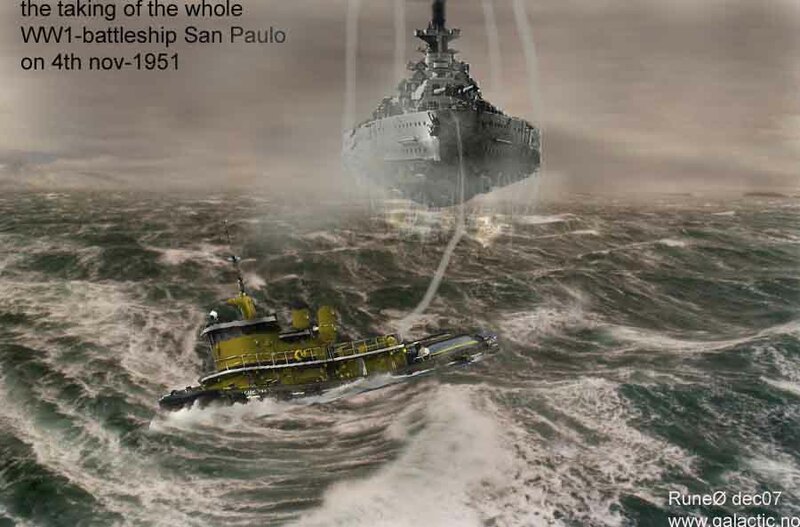 In was in feb.57 issue of PAGEANTmagasine, -article "missing- one battleship". But he wondered how his mother could have just THAT OLD mag.still in -62 when this shall have happend. Stevens (once an usaf-pilot) is one of (or just THE ONE) most serious and important ufo-investigators in the last half a century, and began his own research and collection effort, eventually amassing the largest private collection of UFO photographs in the world. 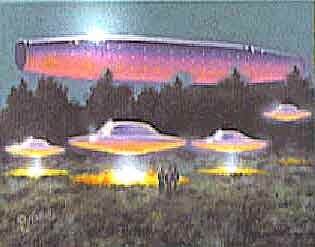 He began to publish reports on the events, and wrote many illustrated articles for many UFO publications. Disenchanted with the dearth of detail on contact events reported in books and journals of the time, he began preparing detailed reports of his own investigations. He has published more than 22 of these extensive reports in book form. He continues his investigations at his own expense, still seeking the elusive answers to the many questions raised by this phenomenon. Wendelle has been a Director of the International UFO Congress since its inception. listen to the deep txt on Scorpions - Send Me A Angel - on YOUTUBE and remark the text says "...in the land of the morning star" - that's VENUS! "90% of the Venus-ships on earth are operating outside of the visible range of sight."